Niagara's Watercooler: Reminiscing: Say Cheese! I would venture a guess that there are more photographs taken today than any other time in American history. Almost all of that is entirely due to the ease of use with cameras on all our cell phones. It’s easy to snap a couple of pictures when the thing is sitting in an unsnapped holster. However, I would also guess (and this is my opinion only) that while more photos are taken, they are likely of lesser quality than we used to see when we had to buy film and get that film developed. Photography has lost its allure with how easy it is to do these days. Back when every piece of film was costly, people took more care when they triggered the shutter. On the flip side of that argument, when pictures are taken with reckless abandon (who really needs 25 pictures of dinner?) there’s bound to be one or two masterpieces among the thousands. For being an historian, I am terrible with photos. My grandparents and parents took lots of photos as we were growing up. We have a lot of our kids, but nothing like there were of me and my siblings growing up. Sometimes, that makes me sad. Last weekend, I was looking in my photo albums for some pictures I took of my new bike back in 1984. It triggered the thought about how lackadaisical I’ve been with the photos. When I got my first camera, I was a photo-happy idiot taking pictures of anything and everything. I spent a lot of my money on film and developing. My first camera was the ever-famous Kodak Instamatic X-15F camera. It’s still around the house somewhere, and I’m pretty sure there’s still film in it. Or at least half a film. I have no idea what pictures there may be on it, or if I can even get them developed at this point. 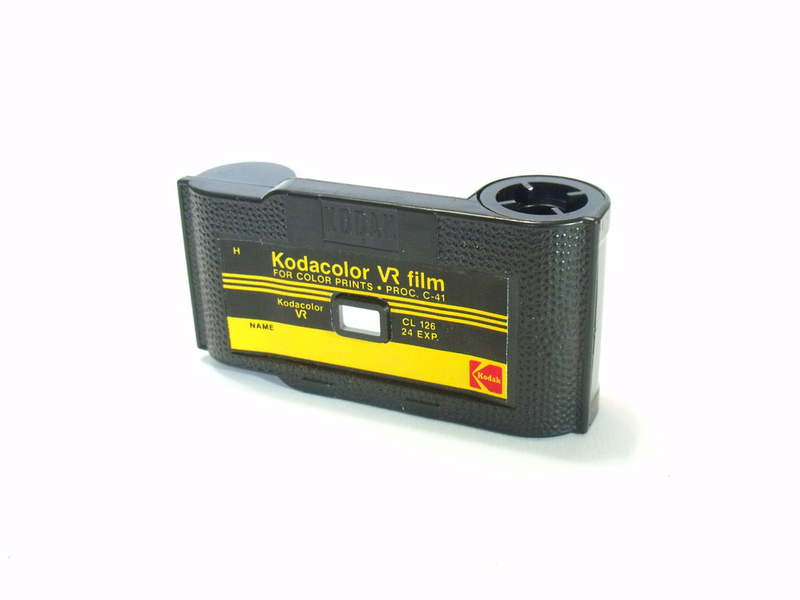 Who knows if it’s even still viable film? 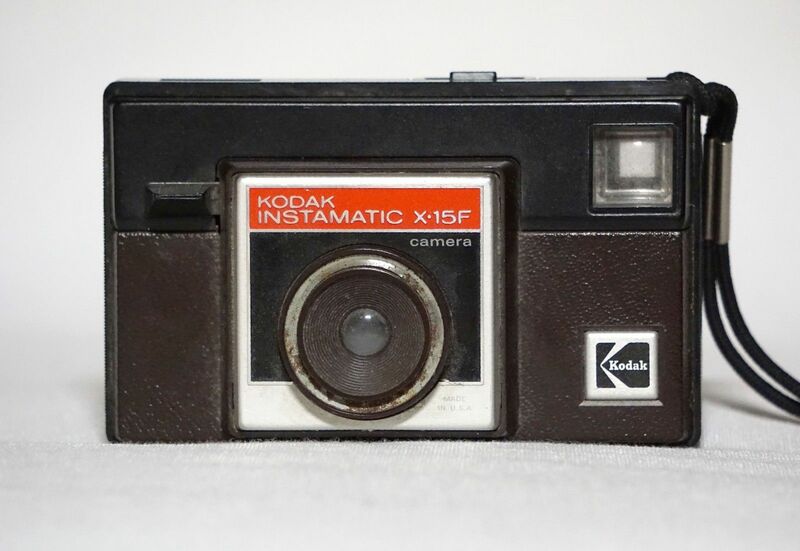 Everyone remembers the Instamatic X-15 or X-15F. These cameras were very popular from the 1960s through the late 1980s. Most people looking for an easy camera to use got one of these models. I saw them everywhere. It was a basic point-and-click device. Once you took the picture, you couldn’t take another one until you manually advanced the film. There was a little wheel in the upper right of the back of the camera. Supposedly, if it wasn’t advanced all the way, you couldn’t take the next shot. I can tell you from experience that wasn’t always the case. I have plenty of half photos and double printed negatives to prove it. 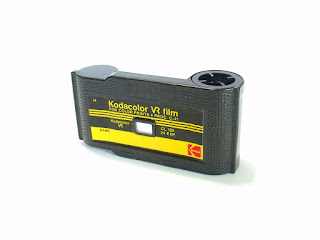 My camera used 126 film, which was entirely enclosed.You didn’t have to worry about ruining your film nearly as much as you did with some of those fancy 35mm machines. That was perfect for a young teenager like me with his first camera. Typically, you’d get 24 exposures with the film, although there was also 12 and 36 varieties. For even more east of use, the back window of the camera would display a little number from the film to tell you where you were on the roll. It was a simple mechanical contraption, and that simplicity made it popular. When I first got that camera (I think it was a hand-me-down from my grandmother when she upgraded), I was shutter happy. I have two photo albums full of weirdness from the photographic mind of a young teenager. I took pictures of my bicycles like they were cars. I took pictures of my friends doing stupid things (Okay. Maybe things haven’t changed that much.) And I took pictures of seemingly nothing. Looking at them now, I have no idea what I was taking a picture of, but the scene sparks some memories of things that seem long forgotten. My camera used to need a flashbulb in order to take photos inside. It used the infamous “flipflash.” There was no built-in flash so we had to buy our flash. My camera had the tower with 8 or 10 flashes on it. My mom’s camera (X-15, rather than the X-15F) took the Magicube. 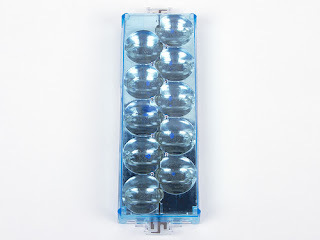 That flash had four flashes on it, and the cube would turn after each burst of light. When you finished, you had to throw them away and buy new ones. Sometimes, these could be pretty expensive, so I didn’t have a lot of indoor photos taken. When I finally upgraded to a 35mm camera, I think I bought it at Hills and paid $30 or $40 for it. To me, that was an expensive camera (I know there are real camera jockeys out there laughing at that.) It had a built-in flash, but still needed film. It wasn’t until I started working a full-time job and was married that I bought a digital camera. I’ve had a couple of digital cameras. Today? I don’t bother. For the photos I take, I simply use my smartphone. They take pretty good photos. There really is no need to “develop” pictures anymore. I use Shutterfly sometimes to print some of the better ones that I’ve taken. Even the ones from my phone come out great. I’ve made a photobook from that place for one of our family vacations. I planned on doing it each year for our vacations. I’m three years behind. Maybe I’ll get back on that. I remember one time when my uncles were visiting my grandmother. They were cleaning out the attic and found a box full of old cameras that my grandparents must have used over the years. Listening to the stories they remembered about those old cameras were riveting. It’s interesting how seeing a particular camera brought back stories of family picnics and vacations. The stories sometimes can be better than just the photograph. When I think of the photos that my grandparents and parents took, I wonder what kind of photos my grandkids will have decades from now. Will they still take snapshots? Will they be holograms then, with a virtual reality attached so they can relive those moments? I don’t think we’re really that far from any of that. I can’t wait to see how far photographic technology can take us. Craig Bacon loves looking through old photos. Sometimes he wishes he could buy a roll of film, a flipflash and break out the X-15F.